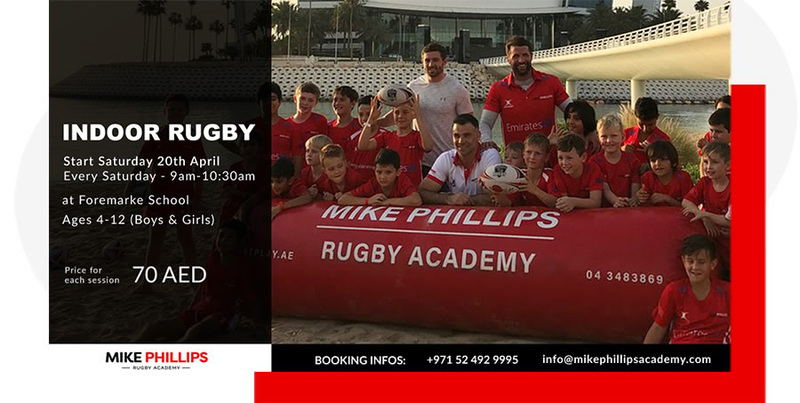 Mike Phillips is taking his academy around the UK this summer with so many dates already booked up, if your school or club is interested please get in contact for more details. Please contact us for: other ages, private classes, group classes, or any other enquiries. Here at the Academy we believe in developing youngsters as not only rugby players and athletes but also people. Rugby brings with it great life lessons that can shape and develop people from a young age including confidence, communication, leadership and teamwork – nurturing these elements is crucial for us in what we do. In any given sessions players will carry out more than 150 different skills – from running and movement to passing and kicking – all in an environment focused on development, but driven by fun. Our 10-session training blocks are designed with progression in mind, featuring a structured progression plan across a range of skills and personal development – with age and ability not a factor. This 360-approach to training creates people, not just players – it’s the rugby way. Son of a farmer in west Wales, to one of the world’s best rugby players – Mike’s journey is quite something. Packed full of highs, and a fair few lows – rugby has not only offered him a fantastic career, but prepared him for life. In rugby, you encounter many things – the highs you celebrate, the lows you learn from. 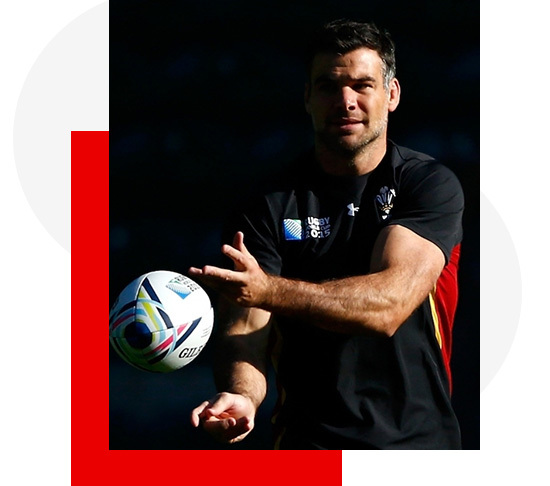 Discover how Mike adapted to the adversities his career threw up, and how every day occurrences on the rugby field can help in your day-to-day life – whether professional or personal. Want to be a better communicator, team player, strategist, motivator, leader, mentor? Rugby can help – and we are here to show you how. Let Mike help you grow your brand. 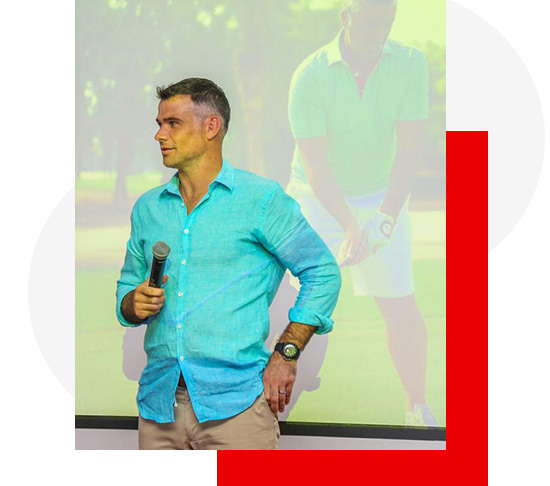 Drawing on a large social following, and strong standing in the business and sporting community, Mike is perfectly placed to help take you to the next level – and target an audience you’ve not been able to reach before. Along with brand promotion, Mike will also make himself available for appearances – both social and promotional to help your campaigns hit the right note. From after dinner speaking to Q&As, awards nights to business lunches – book Mike to add a little sparkle to your occasion. A rugby team has to be up there with the most cohesive on the planet. Help your corporate team develop communication, problem solving, teamwork, leadership, adversity strategies, delivering under pressure and much more in a fun but taxing environment – the rugby pitch. Here at the Academy we believe in developing youngsters as not only rugby players and athletes but also people. Rugby brings with it great life lessons that can shape and develop people from a young age including confidence, communication, leadership and teamwork – nurturing these elements is crucial for us in what we do. In any given sessions players will carry out more than 150 different skills – from running and movement to passing and kicking – all in an environment focused on development, but driven by fun. Our 10-session training blocks are designed with progression in mind, featuring a structured progression plan across a range of skills and personal development – with age and ability not a factor. Son of a farmer in west Wales, to one of the world’s best rugby players – Mike’s journey is quite something. Packed full of highs, and a fair few lows – rugby has not only offered him a fantastic career, but prepared him for life. In rugby, you encounter many things – the highs you celebrate, the lows you learn from. 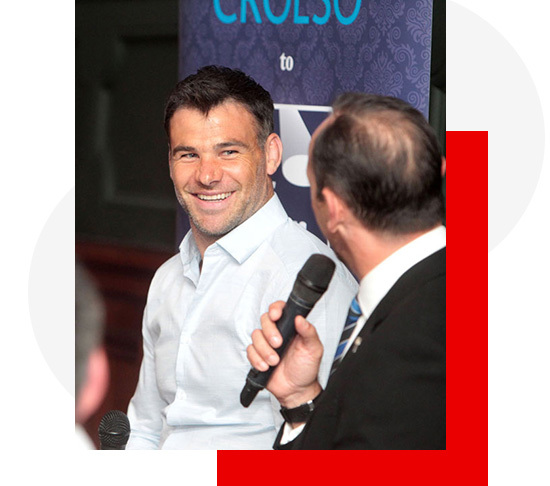 Discover how Mike adapted to the adversities his career threw up, and how every day occurrences on the rugby field can help in your day-to-day life – whether professional or personal. Want to be a better communicator, team player, strategist, motivator, leader, mentor? Rugby can help – and we are here to show you how. From after dinner speaking to Q&As, awards nights to business lunches - book Mike to add a little sparkle to your occasion.